For the entirety of my childhood I was told to drink eight glasses of water a day to stave off dehydration. While I did my best to meet that number, I would usually give up at around four to five glasses, liquid sloshing around in my belly. If you’re wondering how much water you really need to drink in a day, research suggests that humans don’t actually require as much H2O as previously thought. A recent study lead by Monash University, and published online in Proceedings of the National Academy of Sciences, builds on previous evidence that relying on set requirements like the “eight glasses a day” rule can be problematic. Listening to your body is the best way to tell how much water you need in yo' life right now. Unlike the easy to remember "8x8 rule" (eight ounces, eight times a day), there is no "one size fits all" for proper hydration. This misconception is thought to stem from a 1945 statement by the Food and Nutrition Board of the National Research Council, which stated, "A suitable allowance of water for adults is 2.5 liters daily in most instances... Most of this quantity is contained in prepared food." That's right — we are able to replenish our bodies with merely the liquid located in foods and from other beverages (including that pumpkin spice latte!). The Mayo Clinic recommends that instead of worrying about guzzling eight cups of pure H2O, we should think in "total drinks" a day. The recent study takes this thought one step further, encouraging people to only drink when they feel thirsty. "If we just do what our body demands us to we'll probably get it right — just drink according to thirst rather than an elaborate schedule," Associate Professor and co-author of the study Michael Farrell said in a press release. 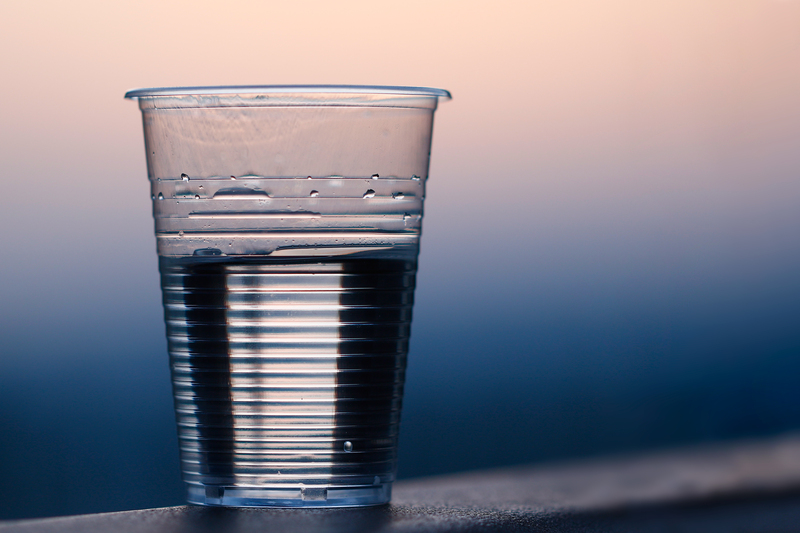 Researchers measured the effort required to drink water under two conditions, asking participants to rate difficulty swallowing: "following exercise when they were thirsty and later after they were persuaded to drink an excess amount of water." Participants noted that it took three times as much effort to gulp down water once they were already sated. "Here for the first time we found effort-full swallowing after drinking excess water which meant they were having to overcome some sort of resistance," Farrell said. "This was compatible with our notion that the swallowing reflex becomes inhibited once enough water has been drunk." In other words: listen to your body, it knows what it's doing. Drinking too much water can have deadly effects. Our brains can easily override the swallowing inhibition, and "power through" a few more glasses putting athletes at risk of water intoxication or hyponatremia. Drinking too much water too fast can make the sodium levels of the blood drop dangerously low, so there certainly can be too much of a good thing. Next time you are working out on a hot day, forget outdated rules, and pay attention to whether or not you are actually thirsty. And remember — coffee and tea counts as a source of hydration too!